The President is a good president by my standards. I am happy with many of the social changes that have taken place under his administration. I like that he recognizes poverty as a problem that must be addressed. I like the notion that as we do better, we owe it to our brothers and sisters less fortunate to help. I was once a beneficiary of welfare, both as a child through my mother, and later as an adult, when I was disabled for an extended period of time. I also like that he wants to make higher education available to everyone, just like it was when my folks were growing up in the post-war boom years. And he is right, student loans are crippling the students and preventing them from thriving, especially since the recession and the mass-migration of labor and service jobs offshore. President Obama designed a student loan “debt forgiveness” program that looks very tempting to a new graduate. What? I can pay less on my loan and when I get to the end of a certain stretch of time (10 years for public servants, 20-30 years for others) then I don’t have to pay it back? Wow! I jumped right on that bandwagon in 2011 when I graduated from USC Marshall School of Business with a staggering amount of debt. I had assumed, as most MBA students would, that I would be earning 2-3 times what I was making at my current job. Right now, I am earning the same amount, and I am at the same job. Here’s the problem with “forgiveness” – it’s taxable. That’s something that was NOT explained to me when I signed up originally. I got a really great low monthly payback rate, but the interest rate was such that I saw my loan grow from staggering to absurd in the course of one year. In that year, I got married. When I filed taxes the next year, the payback rate was suddenly more than my mortgage. This was because I filed jointly for the first time in my life. Yay! Gay Marriage! Boo! It didn’t help me out financially at all. So here’s what I think. I see mortgage rates as low as 2.69% right now on the open market. My student loan debt is at 7%, which is slightly higher than some of my credit cards! 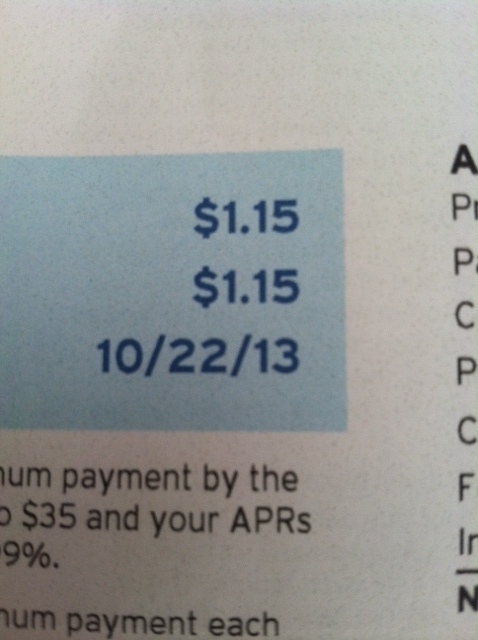 President Obama, please drop the interest rate on my loan, and I will be happy to pay the whole thing off. My monthly payments would be manageable, and even if they weren’t, I would be able to send enough to keep the principal from growing. Forgiveness is a virtue, like charity, faith, hope and love. Taxing forgiveness is a cardinal sin.